1898. 227 pages. No dust jacket. 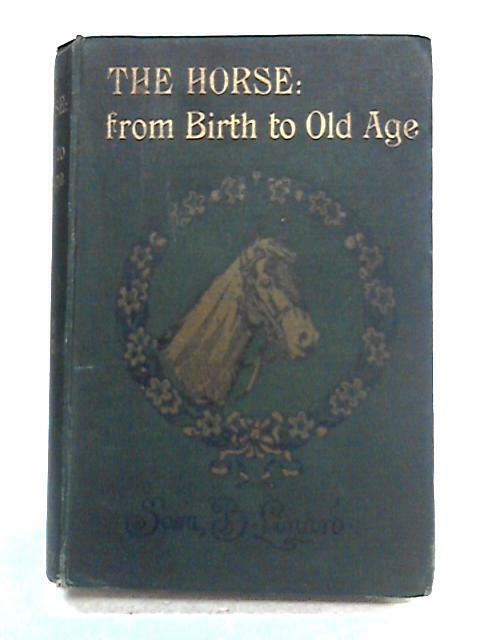 Bound in cloth for 'The Horse: from Birth to Old Age'. Green pictorial cloth with gilt lettering. Firm binding to lightly tanned pages and plates with bright copy throughout. Previous owner's name to fep. Infrequent cracked hinges exposing binding. Light foxing, finger marking and small stains to pages throughout. Frequent underlining with annotations to margins. Pencil to fep rear and doodle to half title page. Minor curl;ing and creasing to corners.Moderate shelf wear and markings to tanned boards. Dulled gilt. Moderate bleach spotting. Small stains. Pronounced forward lean. Light rub wear to edges and bumped corners. Minor fraying and tears to spine ends.